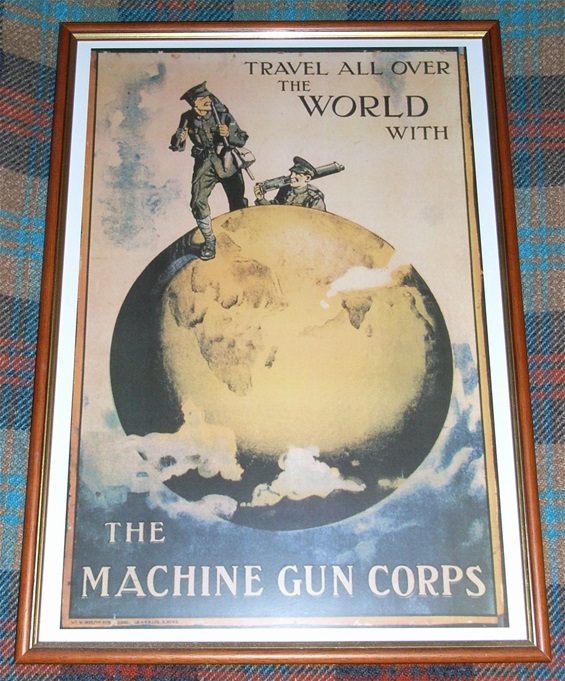 This is a replica of a WW1 period recruiting poster for the Machine Gun Corps. These are not the cheap copies printed on thin white paper some sellers offer for sale on Ebay or similar sites. These are A3 sized replicas produced from high quality scans of an original in a museum, printed on high quality paper. Please note the poster is supplied unframed. Each poster costs £6.00, plus postage and packaging. Reproduction WW1 recruiting poster, A3 sized - the Machine Gun Corps. Poster is supplied unframed.